At Hometown Waste & Recycling Services Inc., we make it simple to remove landscaping from your home or commercial property. We’re the leading specialists of landscaping dumpster rentals in New Jersey and pride ourselves on providing quality customer service and a reliable and cost-effective dumpster rental for residential, commercial and industrial landscaping projects. 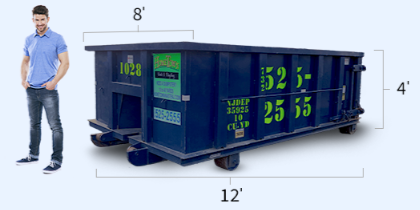 Ordering a dumpster from us is easy and we offer uninterrupted and same-day services. 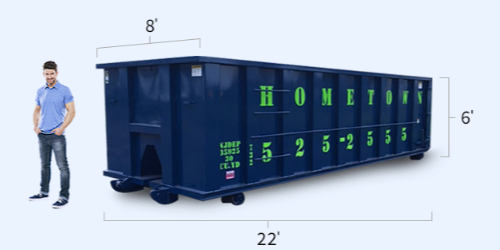 Our dumpsters are available in a variety of sizes — 10, 20, 30 and 40 yards — and can be used for a variety of landscaping or gardening removal needs. 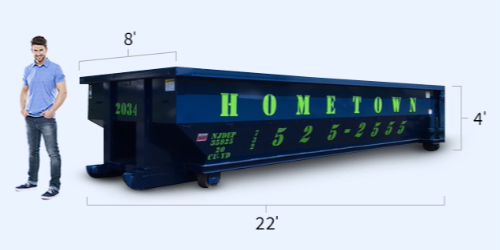 And to make your landscape removal project even easier, we offer four dumpster rental sizes to accommodate your needs: containers are available in 10, 20, 30 and 40 yards. If you’re still unsure of what size you’ll need, one of our specialists can assist with determining which size is best for your project. What Can You Put in Your Brush Dumpster? Whether you’re working on routine yard maintenance, a residential landscaping overhaul or a tree and branch removal project, rely on the specialists at Hometown Waste & Recycling Services. We’re a family-operated company located in Old Bridge, NJ. We offer same-day dumpster rental services throughout New Jersey and have four dumpster sizes to accommodate any needs you may have. 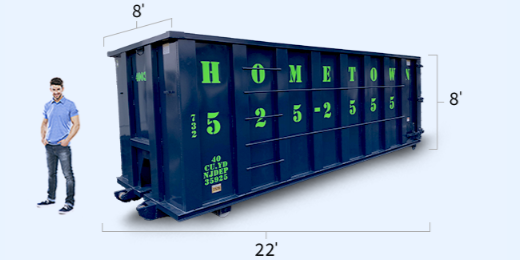 Give us a call today to schedule your dumpster rental at 732-525-2555 or fill out our online contact form.